A perfect example of how the design managed to 'hit the nail on the head' first time round! Almost unheard of, but amazingly enough in our case, completely do-able. Below you'll see the finished photos of the impeccable Showroom, just outside of London, for Dolphin Dispensers. The only deviation from the initial design is the clients want/ need of a Baby Grand Piano (after all.... who doesn't need a Baby Grand Piano in their Showroom!). Extremely happy with the design overall and the finish is just as flawless thanks to Action Workspace. A fantastic achievement all round and huge congratulations and thanks to the client. 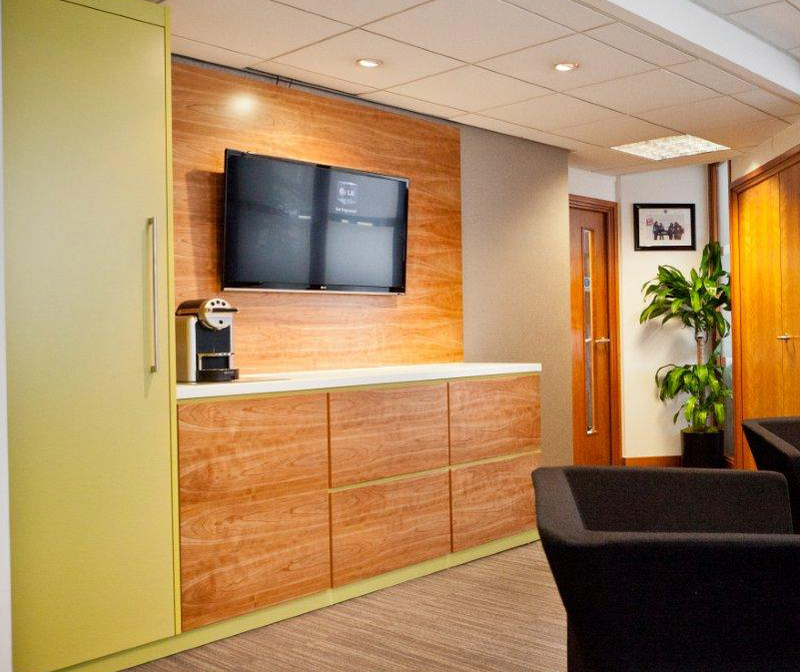 Brief: To create an impactful showroom and reception design for Dolphin Dispensers Head Office based 2 hours out of London. 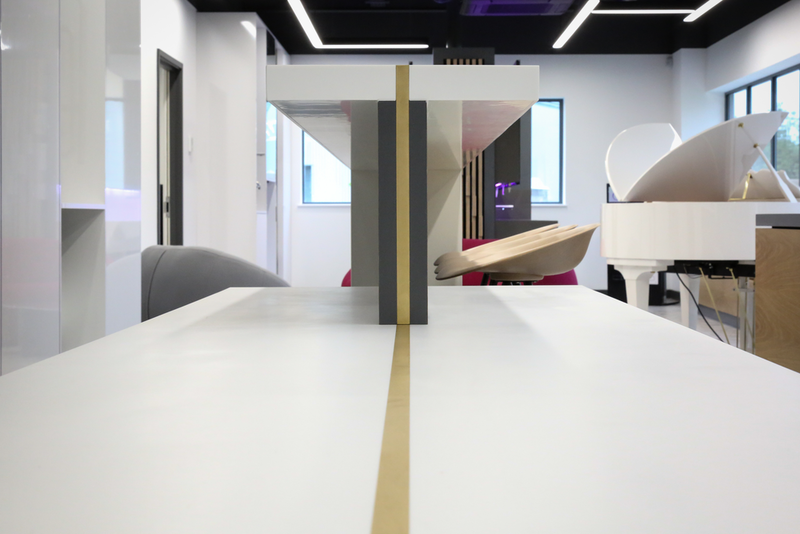 To attract and draw Architects, Designers and Specifiers alike away from the busy City and to dazzle them with the simplicity and flawlessness of the range of products the company have to offer, whilst also creating a space to entertain and engage. 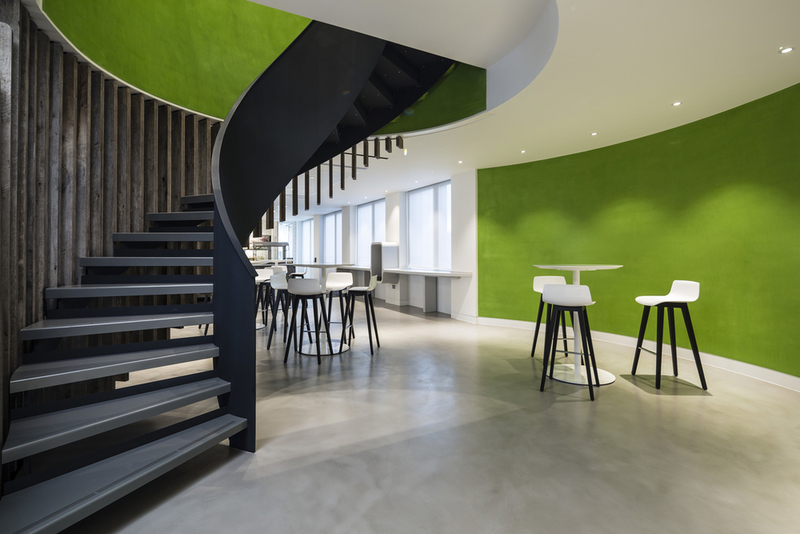 Drawing inspiration from their products, we underlined the credibility of simplicity by stripping back the ceiling and the floor to reveal the original and raw workings of the building, spraying and polishing these finishes and coinciding the materials with slick and clean black and white surfaces and framing. Bold yet unpatterned colours were added to behind the main counter in panels to showcase the products within their own oblong boxes and lighting was kept industrial yet boxy to compliment the overall design aesthetic. 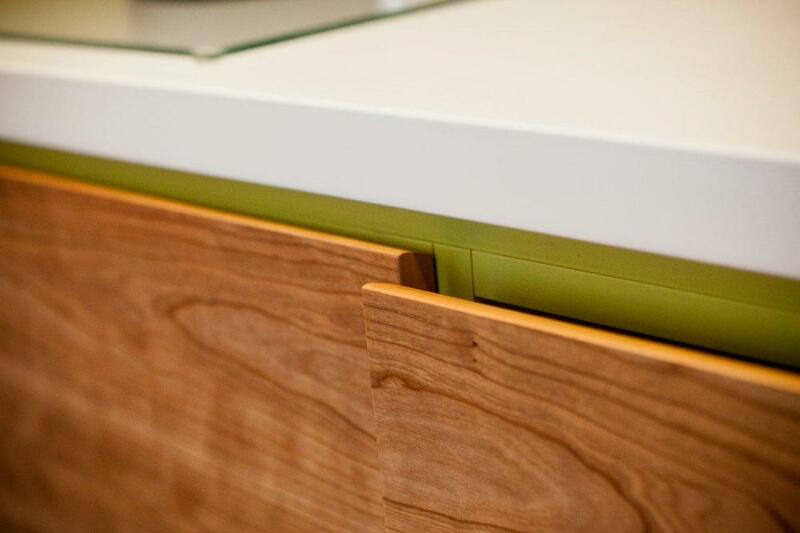 Warmth was added through the use of textured wood and accented brass components. A fantastic achievement for Burtt-Jones & Brewer and a warm fuzzy feeling knowing that Dominique Brown Designs contributed to this achievement. 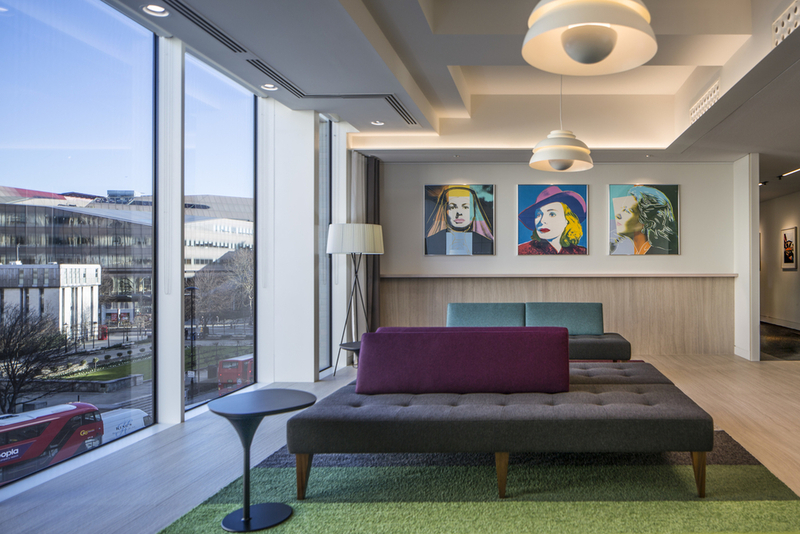 The SEB London Headquarters are featured within the book showing how "… companies promote productivity through connectivity thanks to the design of their workspaces." 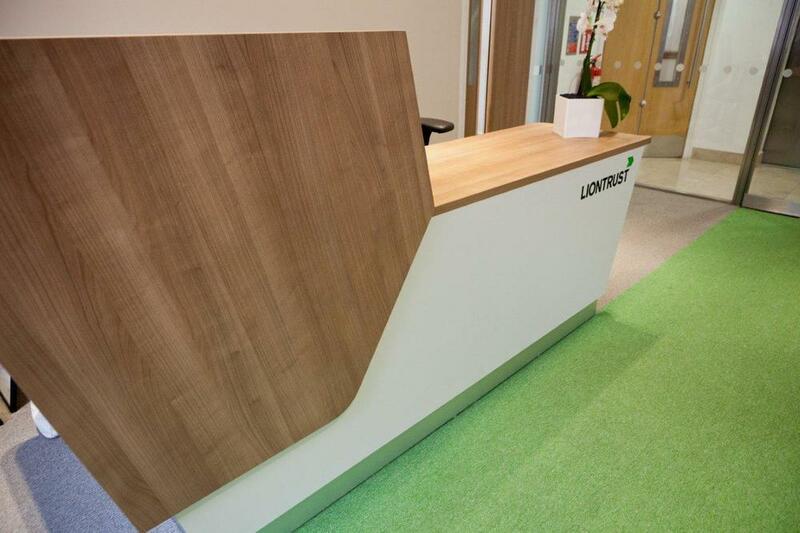 Brief: Our role for this project was working alongside and directly for Adam Burtt-Jones of Burtt-Jones & Brewer. Taking the project from concept through to completion working very closely with SEB to provide a stunning new workspace for their new London Headquarters- directly opposite St Paul's Cathedral. 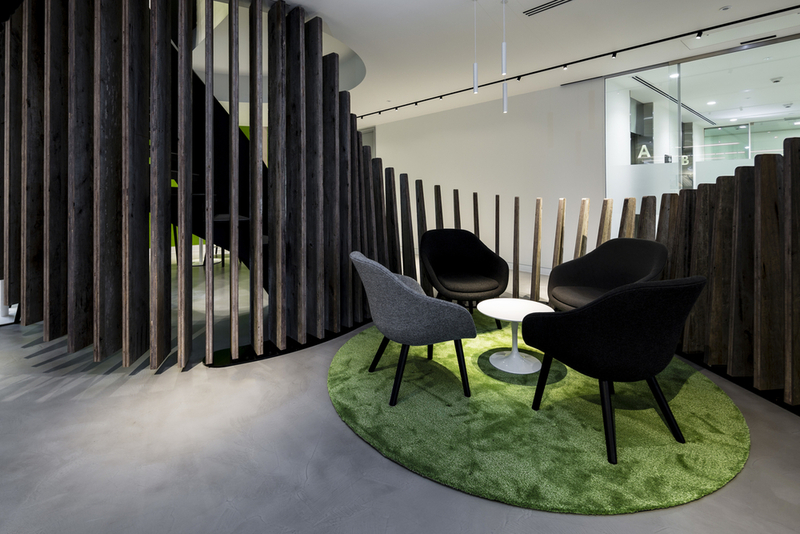 Our key role was designing the signature wooden 'fins' within the restaurant area which provided an eye-catching and unique separation between the lift lobby and the main restaurant. 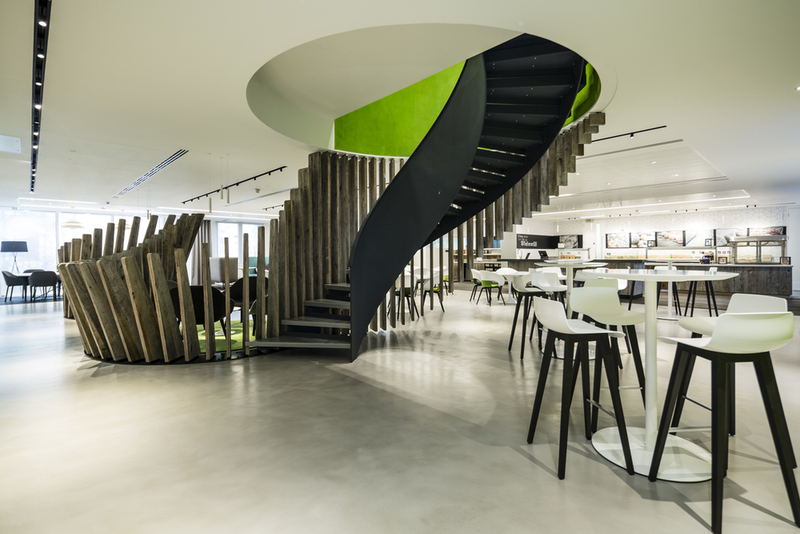 A sculptural piece which helped the companies Interior match the view outside. 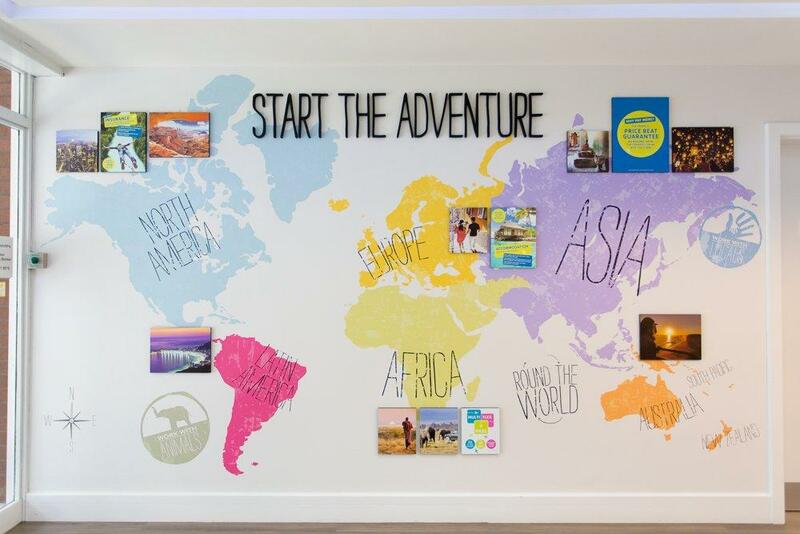 Brief: Radiometer wanted to give their employees a space to be proud of. Their current premises were tired and dated with ineffective AC and heating, impractical office layouts and unloved and therefore uncared for social spaces. 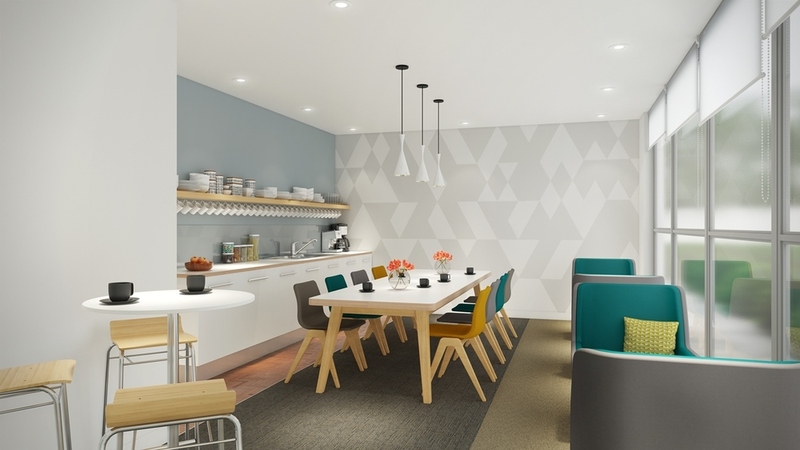 Technological and advanced acute care solutions were their speciality but they wanted to avoid the clinical and sterile appearance, instead embracing their Scandinavian roots and opting for a more stylised, welcoming and functional appeal. 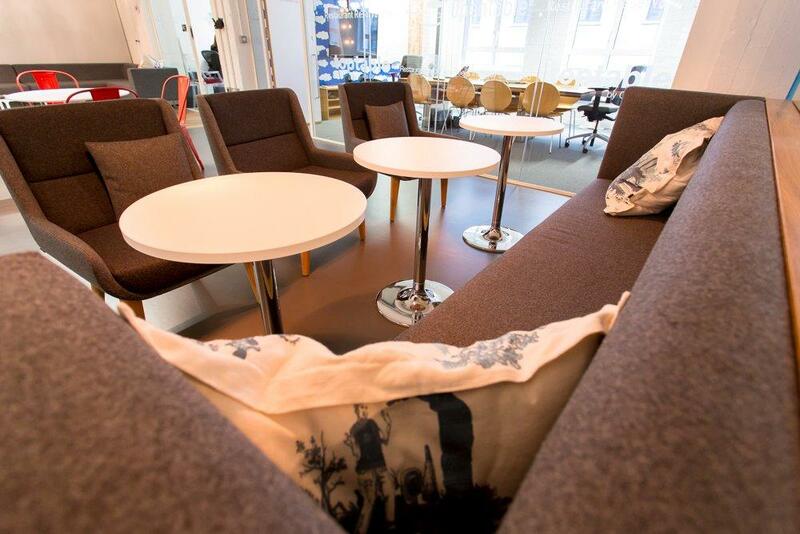 We created a space for Radiometer employees to feel was their own. Re-configuring the entire first floor to optimise the spread of natural daylight and open-up the central space, avoiding the use of maze-like corridors and pokey, unused corners. 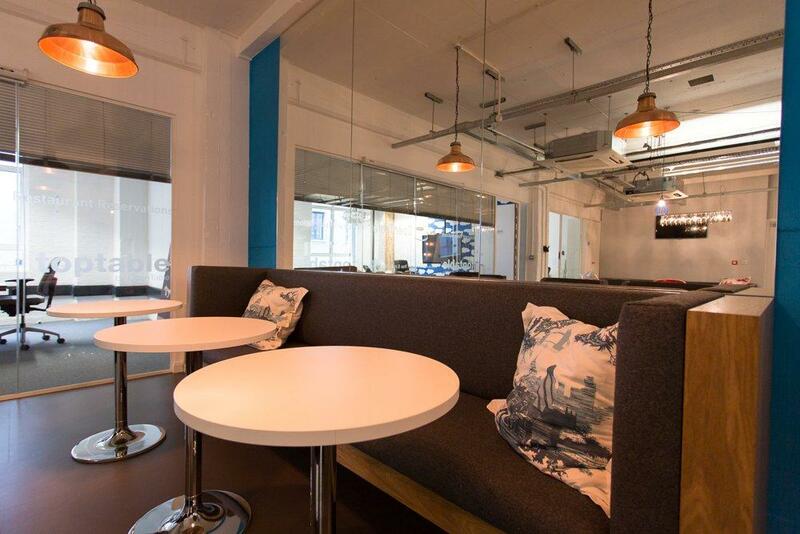 Creating an client and employee hub on the Ground floor on entry with kitchen and informal meeting facilities entwined. A slice of Scandinavian serenity hidden in the depths of Crawley, UK. 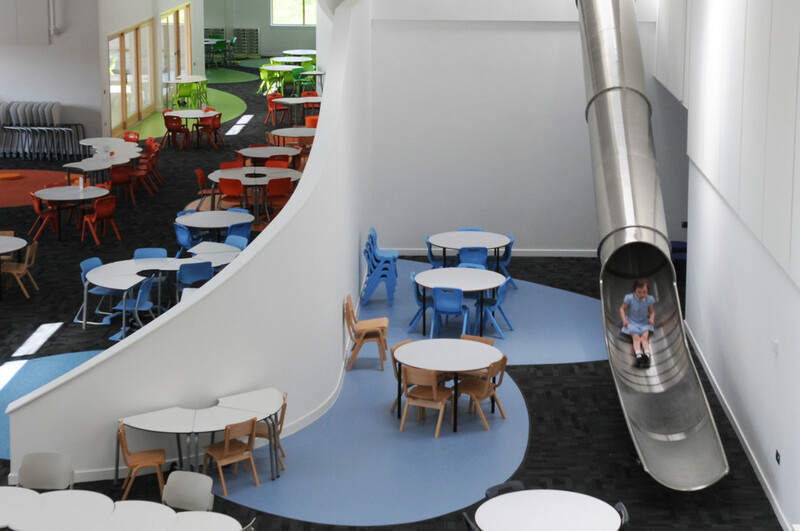 Brief: Cabot Learning Federation were creating a new Primary School in Bristol in collaboration with NVB Architects. A requirement of the school and the teaching method was that the environment be the 'third teacher'. 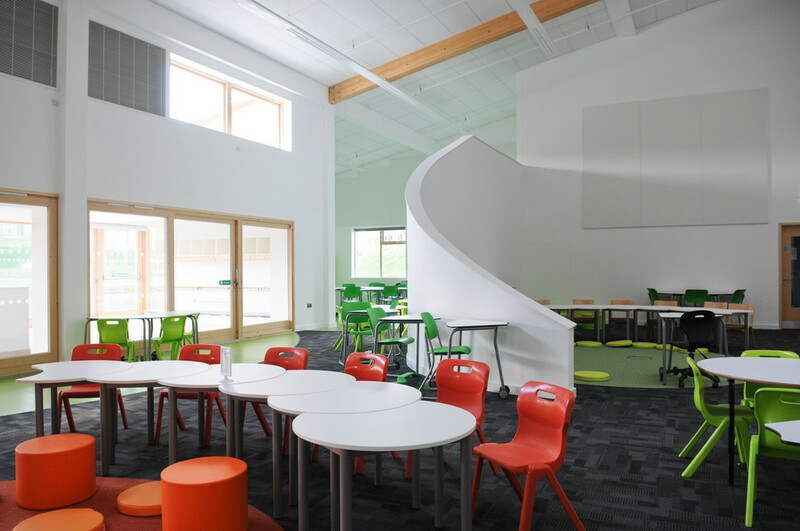 Working alongside NVB Architects to create the interior, including all fixed and loose furniture items, which were designed to carve out the classes within this completely open plan school. 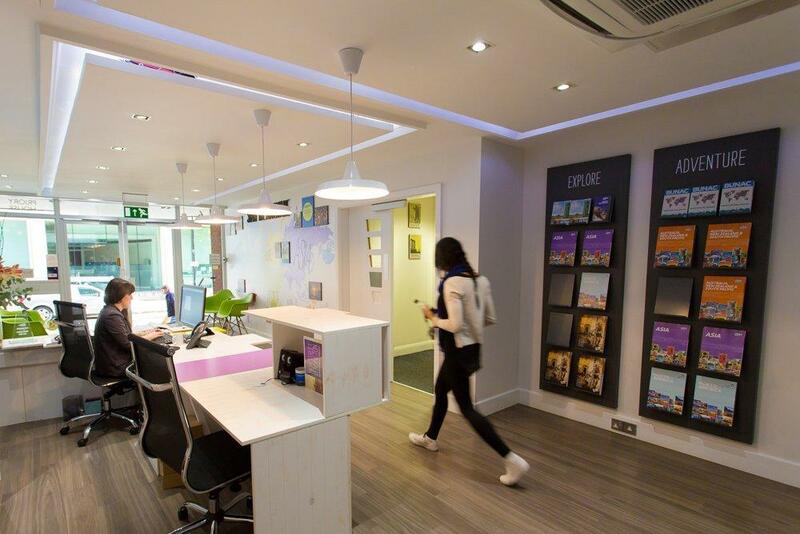 Brief: STA travel wanted a complete refurbishment to the reception of their main London office headquarters. 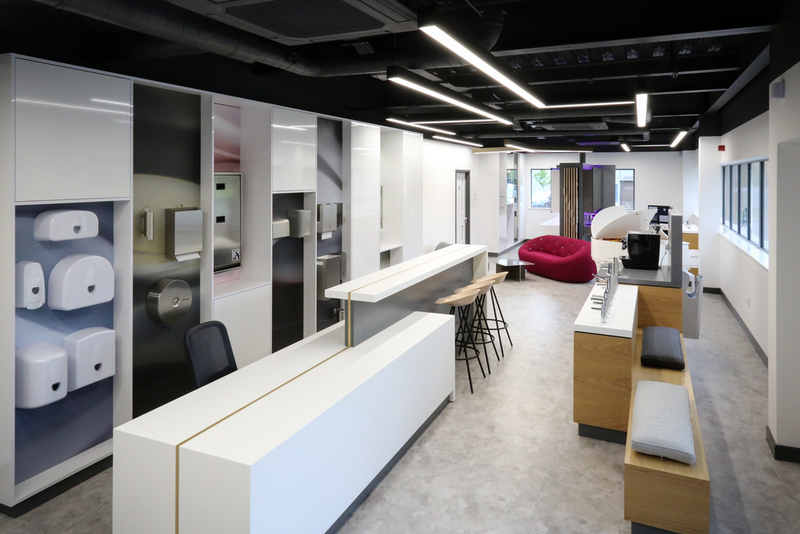 The existing design was extremely dated and dark but it was necessary to maintain some of the original items; such as doors, aspects of lighting and air conditioning systems in order to keep costs down. 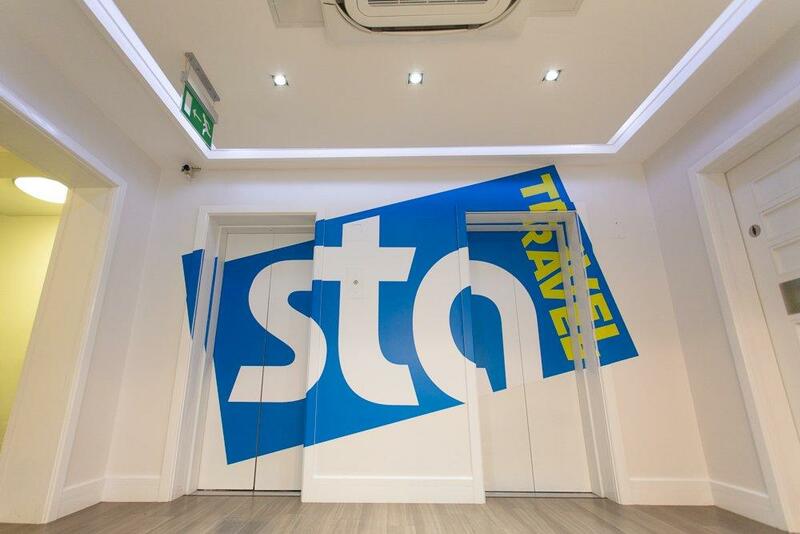 We created a design which successfully hid these items bringing the STA brand to the forefront and creating an extremely bright, light and welcoming reception space. 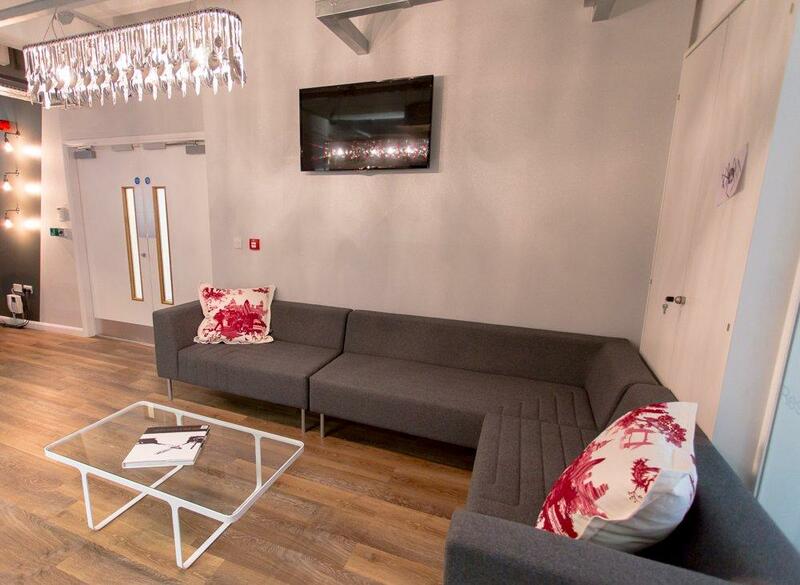 Brief: ECOM wanted to create some areas within their open plan space that would allow the company to collaborate without the need for privacy and to maintain the atmosphere within the room. 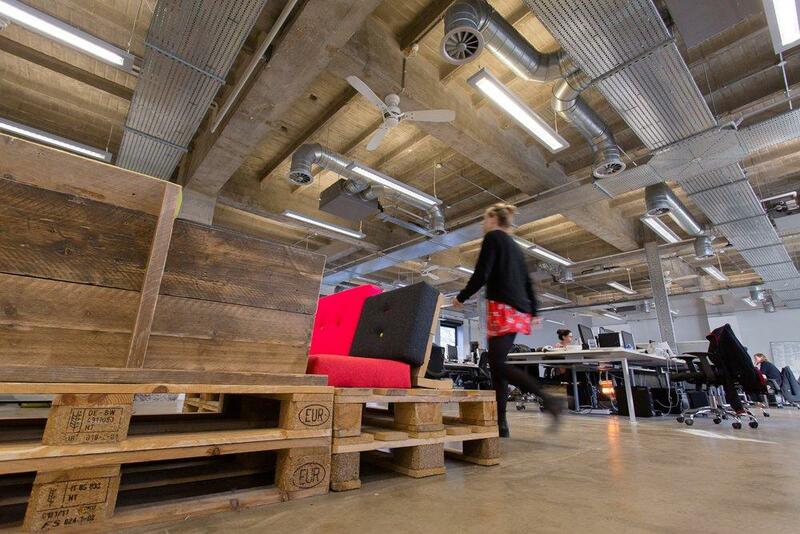 Understanding the company further we suggested that due to their budget we could design two pieces of bespoke, industrial inspired furniture which would sit within the existing space and look to have many functions. 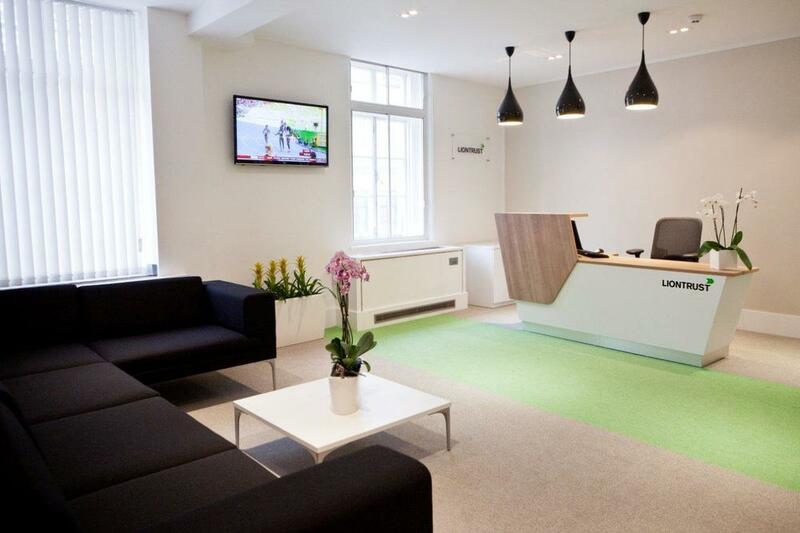 Brief: LionTrust asked for a new bright, light yet corporate reception space which reflected LionTrusts ethos. We created a modern space with soft shades and neutral tones teamed with sharp lines and edges for patterning and to bring depth to the space. 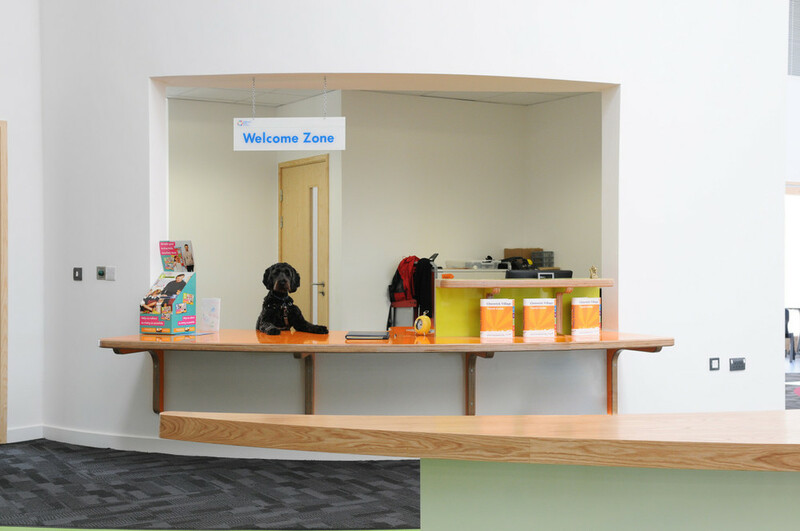 Brief: A new build Primary School who wanted to ensure that the library facilities were engaging and enlightening to the children using them. A library with colour and exuberance which encouraged pupils to read in the way which they wanted. 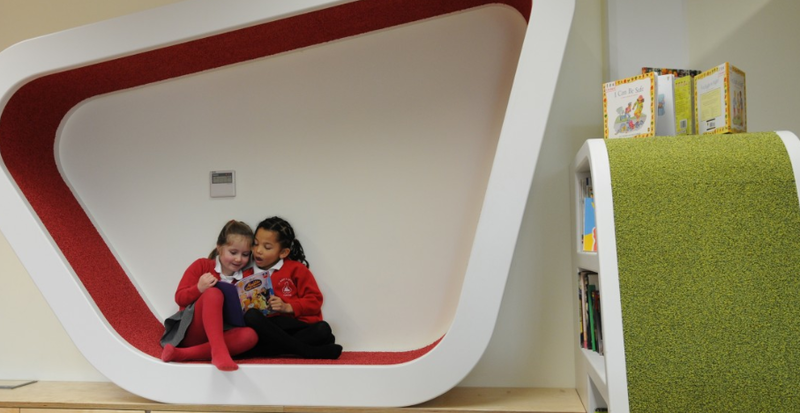 The space which was created housed a series of 'pods' which allowed the users to play AND read within, and on them, ensuring that reading was not seen as a daunting task but a fun and interactive one. 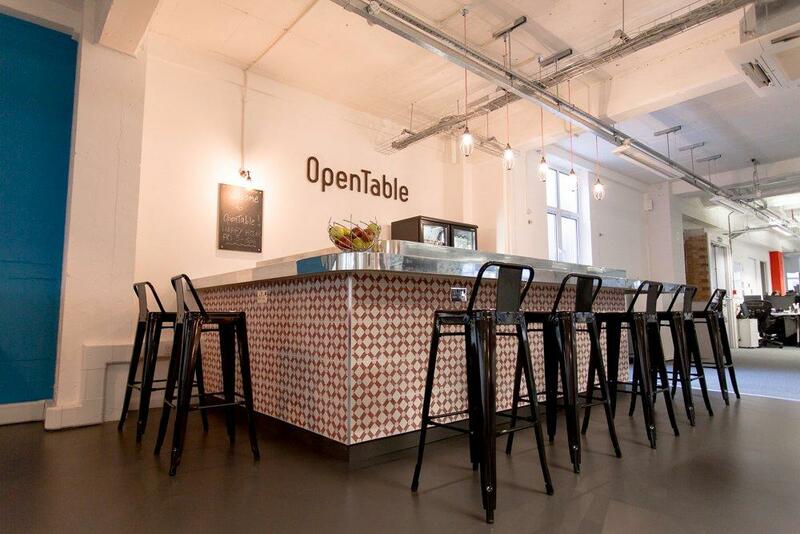 Brief: TopTable are a company whose expertise is food, bars and restaurants. 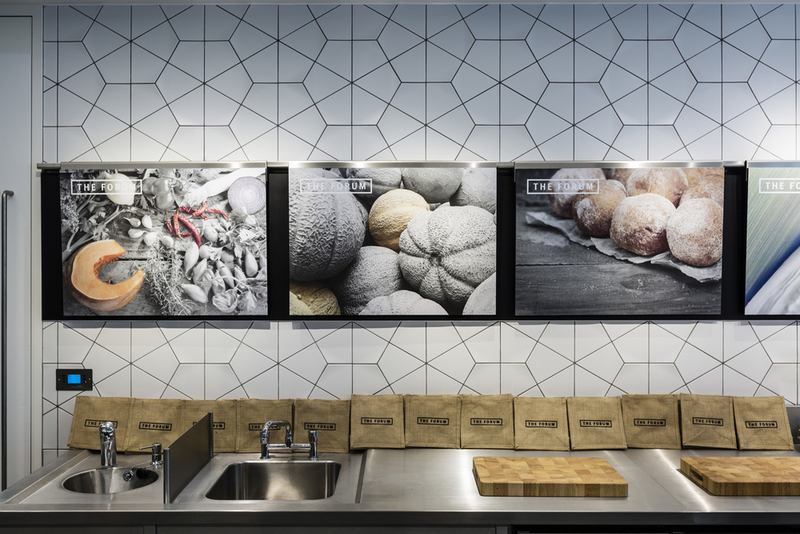 Their simple brief was to take inspiration from culinary experiences around London and reflect that within their Reception and Waiting area. They wanted to create a space which was always occupied, whether it be by clients visiting or employees. A space which was multi-functional yet didn't appear that way. A space which could host a daily 'Happy Hour'! Brief: Alongside projects already being designed within the new building, the Chapel; situated in the heart of the building was extremely important to the School. Whilst they wanted to promote worship within the Catholic religion, students and visitors from varying backgrounds and religious beliefs would also be equally welcome and the design and items within the interior needed to reflect this. Brief: The complete redesign, inside and out, of a 40 foot Narrowboat for a live aboard occupancy. 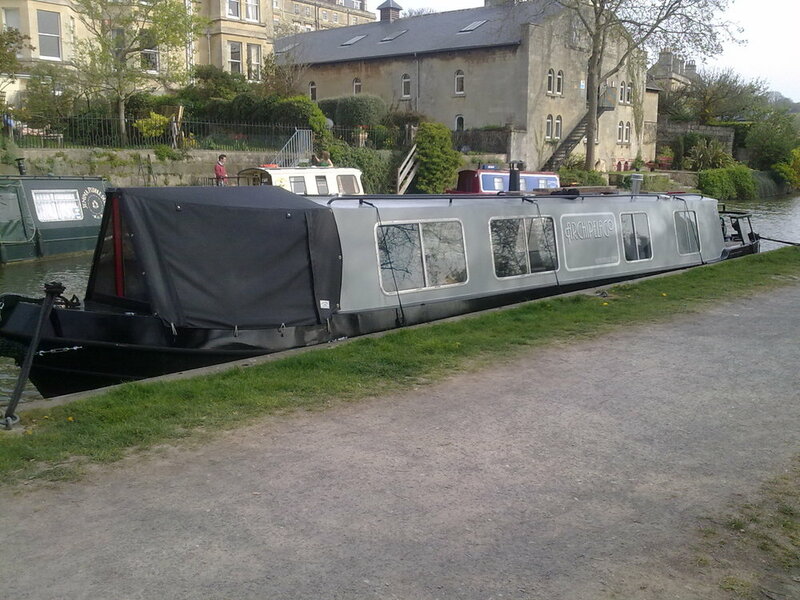 The Narrowboat was owned by a young busy couple living in London as their first home. Brief: To establish order and allow a distribution of space within a large untouched section of the School to be occupied by sixth form students attending King Edwards School. For the canteen section of the hall to be cornered off but a system of queueing put in place to avoid 'scrums' at break and lunch. 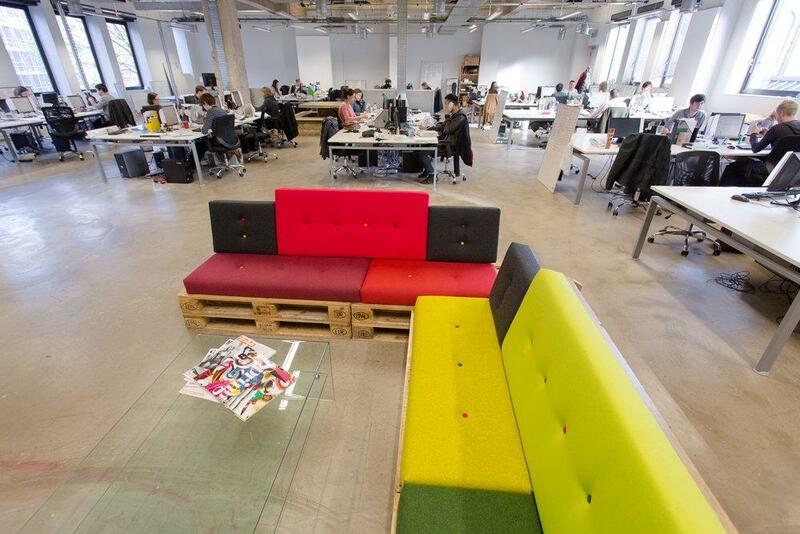 For a large open social space to be established which avoids sound travelling to other areas. 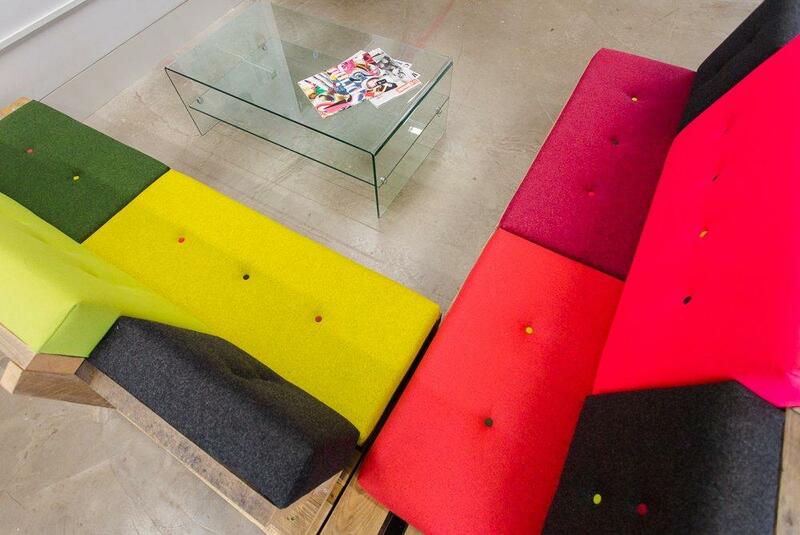 For an enclosed study area with careers advice to be designed with an 'office' ethic in mind.